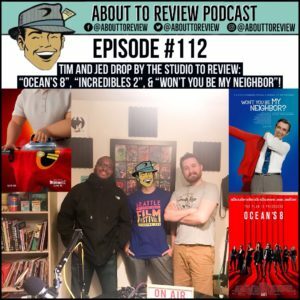 The tag team duo of Tim Hall (People’s Critic) and Jed (The Guy Named What?) 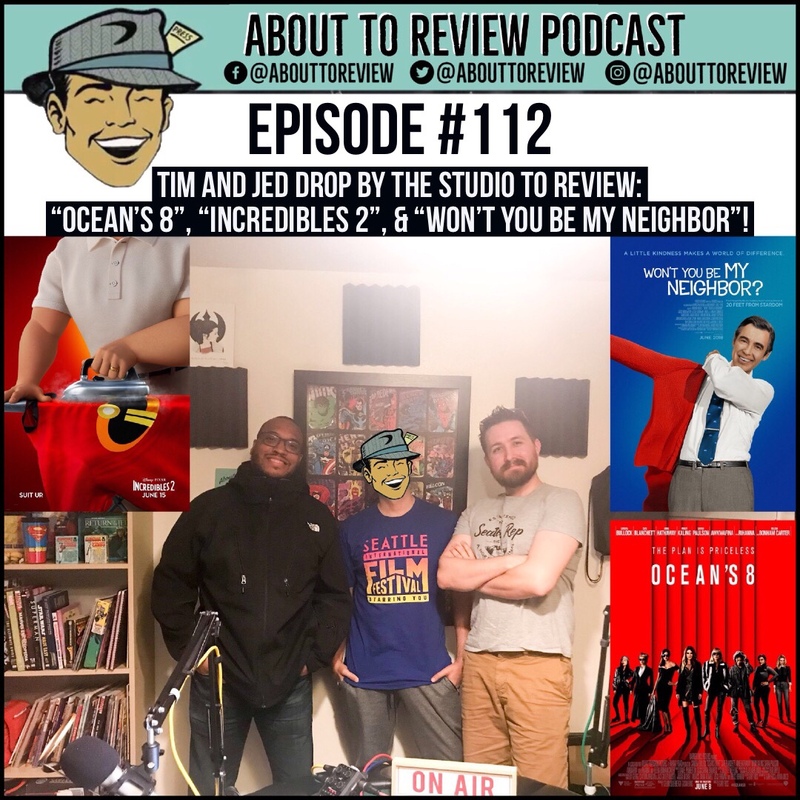 drop by the About To Review studio to discuss three new films: “Ocean’s 8”, “Incredibles 2”, and the documentary about Mr. Rogers, “Won’t You Be My Neighbor”. Thank you so much to Tim and Jed for coming by the studio and recording this episode! Make sure to listen and subscribe to Tim’s podcast “Made in the 80’s” which is linked below!